There are many people who prepare delicious homemade sweets and jams, jellies, candies, among many others. As the person is receiving comments from family and friends who love the sweets prepared at home, you realize that you are holding a potential business for which it is good and that has always appealed to him, all is you do not know where or how to start your own business handmade sweets, for that reason, we will explain the steps below to start it. 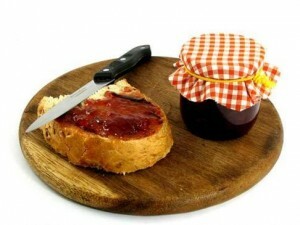 First of all, you must devise and create a brand for your product is the name not only describes jams or jellies that you prepare. It must be a nice name and people will always remember easily. Get a professional graphic designer to help you develop or create a logo, which will use on all items, packaging, labels and other things related to your product. Visit the office in your city related to the preparation of food and health care in general, to find out if it is possible to prepare these foods in your own kitchen. In some parts this is possible but sometimes they do not require the kitchen where they prepare food is properly certified, or that you do in another kitchen that does have that certification. In the case where you must use another different from yours kitchen, there is a less expensive way to do this, for example, no restaurants or cafes that are not open full time, so take advantage and talk to the manager about the option rent. Other ideas can be community centers, churches, etc., there are several options that can be found legally. It must apply the relevant business license and tax identification number or hacienda. This is not only vital to formally operate but also to the issue of taxes. It also lets you buy your supplies and wholesale, which will represent significant savings. You must put a price on the product or products you intend to sell, it is very important to ensure that you get a profit before you start selling your sweet, are jams, jellies, etc. You have to make a list of everything you need to make your product, where you have to include rental kitchen, the place in the market where you plan to sell your product, etc. After determining your expenses, then you can assign a margin to assign the selling price your handmade sweets, in detail. You must try to sell your candy initially in local farmers markets, markets and fairs on weekends and holidays. As you acquire a professional profile and your product is good, it will have a great chance of selling well, remember that the word of mouth is a great start to self promote us and it is free. This is a fundamental step, talks to direct and store managers sweets and food in general in order to show and offer your product, make sure to prepare very well what you’re going to tell them, carrying a pamphlet or letter of product meustras and obviously some business card must leave together with the information you will wear. Internet presence for any product today is vital, thousands of people daily are looking for products such as sweets around the world and you should not miss this potential market, sell your candy through the website and make presence in social networks creating accounts on Facebook, Twitter and Google +, among others. An important part of your marketing is to give away candy samples for consumers to try them, take samples at fairs, markets and the like for people to try and become more familiar and knowing your product. It is very important that you obtain advice to give your product a nice, attractive and above all invited to taste image. These are details that will help marketing your sweets are more easily accepted by consumers and therefore increase your sales. Finally, do not forget that your business handmade sweets as in any business, much of the success is to find a good balance between production, sales and intelligent cost management. On the hunt for the consumer: Brand Myopia? Are there downsides to an office canteen?